There is nothing quite like spending Christmas with children. Every Christmas is special and unique for the children and parents who spend it with them. Every family celebrates Christmas differently. Christmas decorations filled with memories, Christmas trees, parties with friends and family, and homemade decorations and baked goods, etc. We’d love to see your 2016 Christmas pictures. Share them with us through social media or email. For those of you who share your Christmas memories with us, we will send you an original digital Christmas card. STEP 1: Follow our official PonoLipo’s Instagram or Twitter account. 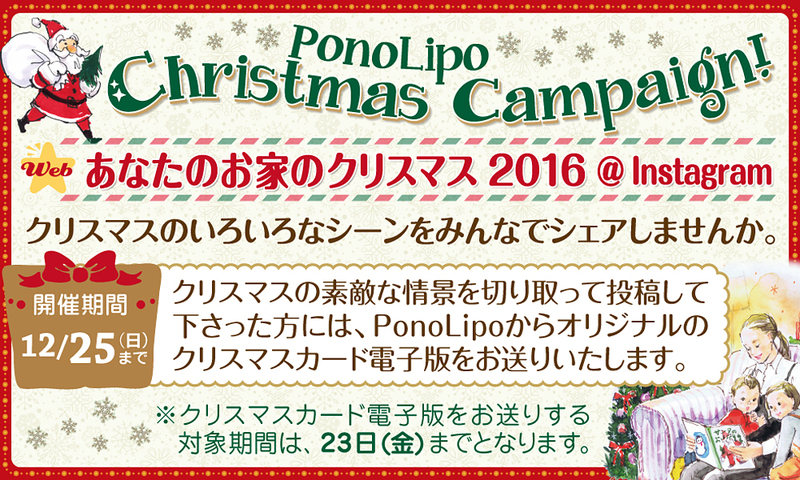 STEP 2: Add hashtag “#PonoLipoChiristmas2016” to your Halloween pictures and post on Twitter or Instagram. STEP 3: If your picture is chosen for an award, we will contact you through a direct message. We will be sending everyone who sends us a Christmas picture an original Christmas e-card designed specially for PonoLipo by video game designer Koichi Ohyama. ★Christmas Card Campaign! 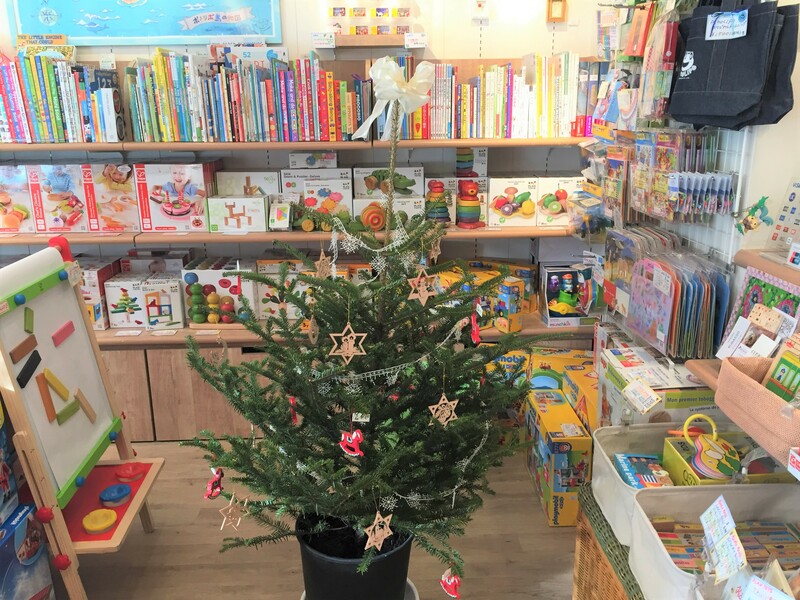 Send us your Christmas cards to our shop!! Send us your home made Christmas cards that you made with your child. We will decorate the Christmas cards that we receive and send you a special Christmas card in return!